Korea Maritime Institute (KMI) President Yang Chang-Ho will host a public hearing event to make a long-term road map to develop nation's new maritime and ocean industry in Seoul on Jan. 12 (Friday), 2018. The public hearing will be held at Council Chamber (B2F) of the Korea Chamber of Commerce and Industry (KCCI) in Sogong-dong, Jung-gu, central Seoul at 1:30 p.m. on the day. The event will be co-hosted by the Korea Institute of Ocean Science and Technology (KIOST). It will be under the auspices of South Korea's Ministry of Oceans and Fisheries. Among the dignitary participants are Chairman Park Woo-Sun of the Korean Association of Ocean Science and Technology Societies (KAOSTS), and Chairman Kim Ho-Sun of the Association of Korea Ocean and Fisheries Industry (AKOFI). They will serve as discussants. Other major discussants will be President Stephen Kim (Kim Yoo-Shik) of TAS Global and President Kim Hak-Joo of Seojin Biotech Co. Director Huh Young-Gu of the Korea Venture Business Association will also participate in the event. 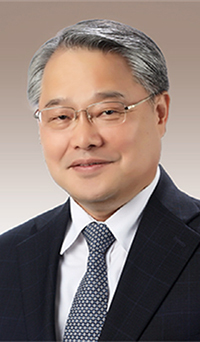 Dr. Yang Chang-Ho was appointed as the KMI president on August 26, 2016 while he was serving as a professor of the Graduate School of Logistics of ‎University of Incheon. Dr. Yang has been received both home and abroad as an expert and an authority on maritime affairs particularly on maritime logistics. Dr. Yang graduated from Yonsei University in Seoul, earning his BA and MA in business from the university. He received his PhD in international business from Sogang University.